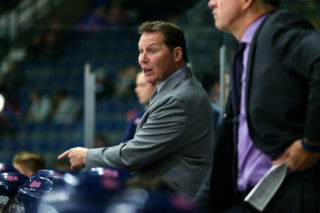 The Regina Pats (1-0) continue the historic 100th Mastercard Memorial Cup on Sunday against the Quebec Major Junior Hockey League Champion Acadie-Bathurst Titan (1-0). Puck drop is at 5 p.m. at the Brandt Centre. The Pats are coming off a thrilling 3-2 win to open the tournament on Friday against the Hamilton Bulldogs. The Titan were overtime winners on Saturday night, 4-3 over the Swift Current Broncos. The game can be heard starting at 4:05 with the Safeway Sobeys pre-game show followed by Bennett Dunlop Ford Pats Hockey on 620 CKRM. The game will also be broadcast on Sportsnet. May 20, 2018 Acadie-Bathurst Regina 5 p.m.
May 21, 2018 Hamilton Swift Current 6 p.m.
May 22, 2018 Hamilton Acadie-Bathurst 8 p.m. 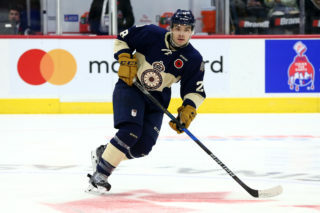 The Regina Pats opened the 100th Mastercard Memorial Cup with a 3-2 win over the OHL Champion Hamilton Bulldogs on Friday night. The Bulldogs opened the scoring in the first when Robert Thomas tipped in a point shot at 7:49 and it was 1-0 after one. In the second, Sam Steel tied it on the powerplay for Regina just 19 seconds in. Hamilton retook the lead 2-1 at 13:14 of the second when Marian Studenic ripped a shot into the top of the net, but 2:16 later Josh Mahura scored on a beautiful end to end rush and it was 2-2 after two. It stayed that way until late in the third when Nick Henry scored on a rebound with 32.6 seconds left to give the Pats the 3-2 lead and the win. Sam Steel, Nick Henry and Josh Mahura led the offence with a goal and an assist while Max Paddock made 31 saves. Regina was one for four on the powerplay and two for two on the penalty kill. 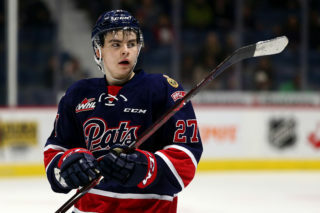 The Regina Pats became the first WHL team since 2016 to win a game at the Mastercard Memorial Cup on Friday night. In 2017 the Seattle Thunderbirds went oh and three at the tournament. The last time a WHL team won a game was the 2016 host Red Deer Rebels in the round robin against the Brandon Wheat Kings. 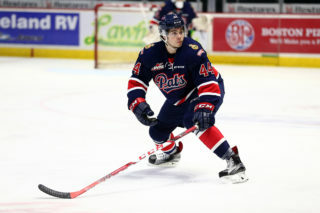 Pats defenceman Josh Mahura was a member of that Rebels club in 2016. Pats goaltender Max Paddock was sensational on Friday night making 31 saves to lead the Pats to a 3-1 victory over Hamilton. 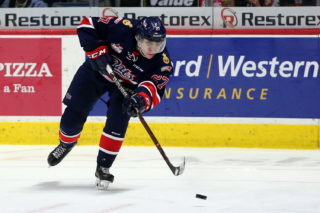 The 17-year-old suffered an injury prior to the playoffs and had not played since the second to last game of the regular season on March 16 against Swift Current. During the regular year, Paddock went 19-7-1-1 in 33 appearances and finished with the third best goals against average among WHL goalies at 2.90. The product of Brandon, MB has the best numbers of all four goalies after their first games at the Memorial Cup with a 2.00 goals against average and a .939 save percentage. Paddock is the 22nd ranked goaltender in North America by the NHL’s Central Scouting Service for the 2018 Entry Draft.